LA Metro isn’t mentioned in the story but you can see our latest fare compliance stats here with numbers from last July through January of this year. The success of Auckland’s strategy to boost transit ridership numbers by improving its bus service should serve as an important reminder to cities that the oft-maligned bus is one of the cheapest and most nimble tools within their reach to radically reduce car dependency. We’ve seen similar successes in Seattle, which decided in 2014 to double down on its bus network to get people out of their cars. Through a voter-approved raise on both the sales tax and a car licensing fee, the city secured funding to purchase more buses, pay more drivers to run more trips in expanded hours, and added additional lines to cover more of the city. They also expanded bus priority service by designating certain heavily trafficked lanes downtown as bus-only. Since the changes rolled out, Seattle has been one of the only cities in the U.S. to actually see transit ridership numbers grow, as most cities’ systems are struggling to retain riders. Metro is in the midst of restructuring its bus system — we’re calling it the NextGen Bus Study. Please see this Source post from last week — and feel free to scroll down directly to the second set of bullets to a possible future bus service concept. Today at approximately 2:15 pm, officers assigned to a detail w/ the Transit Services Division were in the area of 7th and Flower when they witnessed a man armed with a shotgun. There was a foot pursuit which went e/b 7th to Hope St at which an officer involved shooting occurred. 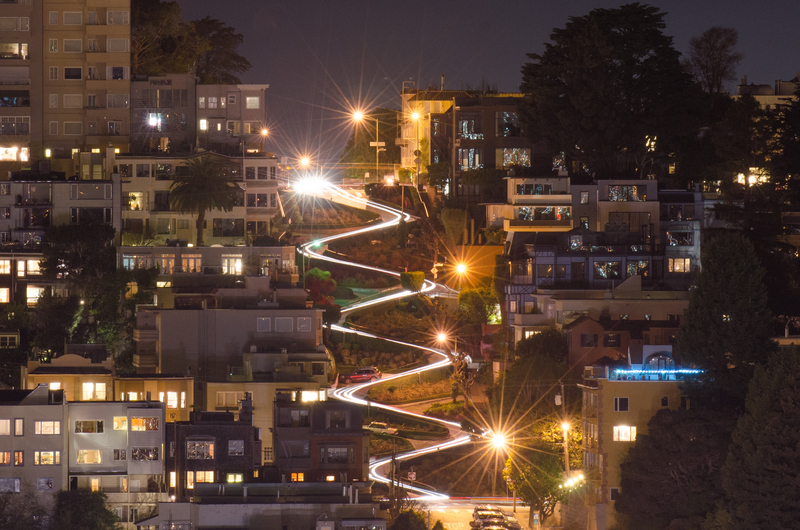 •A state bill before the Legislature this year would allow the city of San Francisco to charge a toll to drive popular Lombard Street, reports the Chronicle. San Francisco’s Lombard Street at night. Credit: Getty Images. •Electric-assist bikes were pulled from three bike share programs — including Citi Bike in New York — after a braking problem that led to accidents was identified, reports the NYT. •If you’re going to the Reds-Dodgers game tonight — perhaps via the Dodger Stadium Express — a pretty good pitching matchup is on tap. The Reds’ Luis Castillo owns the third-best ERA in baseball entering today and he’s going against long-time ace Clayton Kershaw, who is making his first start of the season. •Things to read whilst transiting: nice tribute to Nipsey Hussle in the Washington Post that looks at his Eritrean legacy. •Things to read whilst transiting 2: the Lyell Glacier in Yosemite National Park is shrinking as the Earth warms. The California Sunday Magazine takes a deeper dive. FWIW, Metro is offering free rides next Monday for Earth Day as a way to remind folks that generally speaking taking transit instead of driving alone is a good way to reduce greenhouse gas emissions. 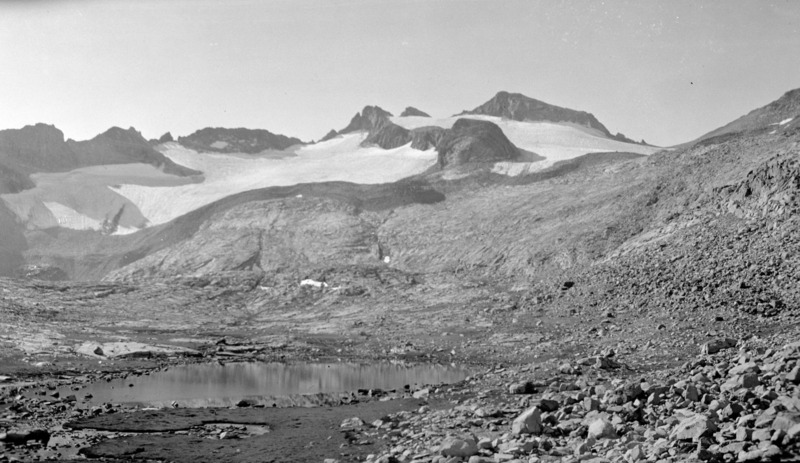 The Lyell Glacier in 1933: Credit: National Park Service. 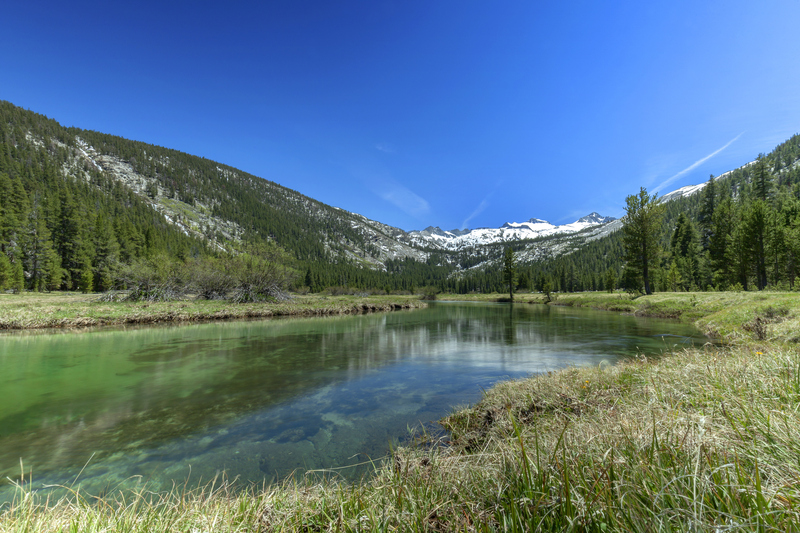 A recent pic of the glacier taken from Lyell Canyon. Credit: Getty Images. Metro’s current gate system is much better than the previous honor system, but the gates need improvement. Japan’s more honest society has better gates than Metro. It makes it clearer if you paid and the exits are much more clear. They also have zones so the prices are higher if you travel a longer distance or transfer between lines. LA’s Metro is horribly outdated since the fare of $1.75 can take you anywhere and to nowhere since it doesn’t link well with other systems. Eventually, Metro needs to expand onto Metrolink rail lines. It should be possible to have more than two or 3 lines use the same rail system. All rail lines in Southern California should be electrified and use the same overhead wire lines for compatibility. I see people evading fare on the Metro all the time. Those expensive gates you had installed are pointless. The handicap gate does not stop anyone. People just go through after it opens or they can easily squeeze through. That was such a wast of money installing those useless gates. I average over 4 different Metro buses per day, including weekends and holidays. I see absolutely rampant nonpayment/evasion of fares, often abetted by indolent bus operators. For example, I see drivers who just wave multiple passengers past the fare box–often even after the passenger already has started to put cash into the fare box. I have no objection to a driver letting an apparently homeless or other obviously impoverished person ride without paying, but every day I see many nonpaying passengers who are presentably dressed and carrying–even talking on–expensive “smart phones” as they stride past the fare box without paying. Drivers no longer bother even to announce the regular fare to passengers who board without paying. Why should honest passengers be the only ones who pay the pittance of a fare that now is required, especially given the free transfers on Metro using TAP, and the reduced-fare transfers from Metro to ride on municipal operators? Fare evasion on MetroRail is even worse than on buses. It has been a year or two since I saw anyone bust a rail passenger (much less a bus passenger) for riding without fare. Obviously, Metro brass doesn’t care any longer, since they were able to con the public into approving Measure M.
Unfortunately, the lack of respect for rules demonstrated by increasing numbers of Metro passengers is leading also to increased vandalism of Metro property and rowdiness on trains and buses–which in turn (along with increasingly unreliable Metro service) inevitably encourages passengers to give up on public transit and go back to driving.. Ya, we don’t want to target low income thiefs. In theory, the MTA Board and related planners would rather not collect any fare on the system. If you started an ironclad enforcement system tomorrow, by the end of the week the cries of racism/racial profiling and criminalizing the poor and homeless would end that program. Our board is a little too woke to take that on. In NYC they recently stopped prosecuting fare-beating in three boroughs because it disproportionately affected people of color, encouraged racial profiling, and left violators with potential criminal records. In LA, it’s almost a problem of whether collecting the toll costs more than you get from the toll itself. The farebox recovery ratio for the MTA has historically been around 18-21% (through generous accounting). If you add the capital budget to the operational budget then as a source of revenues the MTA recoup far less than 10% of the cost of running the system. Add to this that the TAP system has been a disaster since implemented and we went on an ill-fated honor system for so long with the trains there’s not much interest in enforcing anything – especially when you’re going to be called out for it later. If you remove Commuter Express fares from the equation the (non-MTA) LA City Dash bus makes back less than ten cents on the dollar. Last week there was great fanfare when the City expanded the system because of how “popular” and “effective” it was. I think we’ve given up on fares as a source of revenue. How on earth does the MTA expect to collect fares via their ill conceived rear door boarding program. No on is there to enforce it and it only enables non paying passengers on other lines to attempt the same ruse. Unless the policies have changed, Bus Operators are only required to quote the fare once to a non paying passenger and then fill out a Unenforced Rule Card noting the fare evasion. With what is being reported now, that’s a lot of cards per day. This policy was to avoid Unprovoked Attacks on the Operators over a fare disagreement. It’s difficult to collect fares today because many passengers think it’s their right to ride free on buses. But the fares on rail lines could be collected including according to the length of trip like they do in San Fransisco. The gate are more difficult to enter the platform area and there is additional gate when exiting the terminal that requires one to pay any additional fare if their trip was further than the base fare collected. As far as the TAP Card. It was ill conceived from the start and myself and other Management had to provide REAL information as to how many DAY PASSES were being sold. The programs operation and distribution of TAP Cards was not presented to us until two day before its implementation. A case in point. For those who have traveled via the MTA and RTD before it Bus Operators on mid city lines like the 4 or 20 would have observed the operators issuing 40 or more transfer per trip. Those who were putting the TAP Card program together believed the operators only issued ten to fifteen transfers A DAY. With that in mind, Bus Operators were supposed to receive only twenty TAP Cards to be sold when they arrived at work each day. My department was supposed to have additional 200 TAP Cards to be issued to operators who were running out. The TAP Card Department was corrected as to how many would actually be needed and they were forced to have additional shipped from the manufacturer OVER NIGHT. My twenty Supervisors issued over one thousand TAP Cards to operators in the Westside Central area alone the first day, this continued on for several weeks.